The growth of hair is almost necessary things for all human being; especially for women. 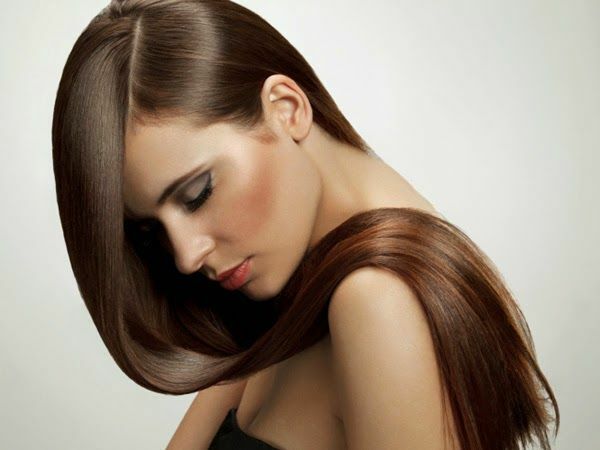 Hair is the most beautiful part of body and every women wants long and shiny hair. It is not impossible, although very easy and simple to get it. For this you will concentrate on daily lifestyle with some natural home remedies. In fact, hair only grows an average of half inch in a month naturally. And even if you try some chemicals and shampoo for growing them rapidly then it may be harmful for hair. Chemicals and chemical including products can damage your hair with scalp infection, so take care about it. Today we learning about how to grow hair naturally and fast, some common magical herbs help for growing of hair. Here some effective remedies and natural tips to grow your hair faster, shiny and longer. Take some curd into a bowl and add some Indian gooseberry powder into it. Mix properly to make a paste. Thereafter leave it for 10 to 15 minutes. Wash it with lukewarm water after half an hour. You can get shiny, dense and long hair with this remedy; also you can get rid of hair fall and dandruff. Take equal amount of bath amla and shikakai powder. And take a bowl full from water. Put both powder into this bowl at night before go to sleep. Mix well and leave it for all night. Filter it after shaking, and apply this water as shampoo on your hair. Wash it after 15 to 20 minutes. By using it you will definitely get an attractive and long hair. It is the best natural shampoo ever. Take two leaves of aloe vera and get out the pulp by peel off their skins. Add some honey into this pulp and make a paste. Apply this paste on your scalp at least for half an hour. Take a tomato and grind it to make a paste. Also take some aloe vera pulp. Add both ingredients into a tablespoon of olive oil. Mix well and Heat this oil until warm. Apply it on your scalp when it becomes cold. Thereafter, leave it for an hour. Then wash with lukewarm water. This remedy is very impressive and useful to growing of hair. Try it and take benefits. Curry leaves works as anti-oxidant; it useful for grow new hair. It is a rich supplement of sufficient nutrition for grows hair as well as hair becomes longer and shiny. You can use carry leaves with food or vegetable, also you can use as chewing these leaves on empty stomach in the morning. This is more beneficial for you. This oil made by the Neem seeds; it is very useful to encourages the blood circulation of scalp. It is also useful to get rid of any infection and dandruff. You should apply or gently massage this oil on your scalp and hair root; thereafter leave it for half an hour and then wash it with clean water. You can also massage with it at night before go to bed; this is more beneficial for your hair. 1. Get plenty of nutrition and proper diet. 2. Eat more vitamins and vitamin supplements. 3. Try some Physical exercises to stay fit. 4. Try meditation to away from stress. 5. Massages your scalp from a mixture of lemon juice and coconut oil. 6. Drink a radish juice daily; radish helps to make your hair strong, shiny and longer. 7. Massage you scalp and hair roots with garlic juice; it works for grow new hair. 8. Eat more iron and protein supplements including green leafy vegetables, salad, milk and nuts. 9. Use suitable and proper oil, soap and shampoo for hair. 10. Wash your hair with clean water every time. Avoid chemical including products; they may be harmful for hair. Avoid styling and coloring of hair. Less intake of salty, fried, oily and fast food. Take care of your hair with direct sun rays and dust. Massage your hair daily before go to bed; pure Amla oil is better choice for it. Don't pull your hair, it may be a cause for damage you hair. Hopefully, these remedies and tips will help to preventing the hair loss and very useful to make your hair dense, strong, long and shiny. Can we use it daily or once in a week?